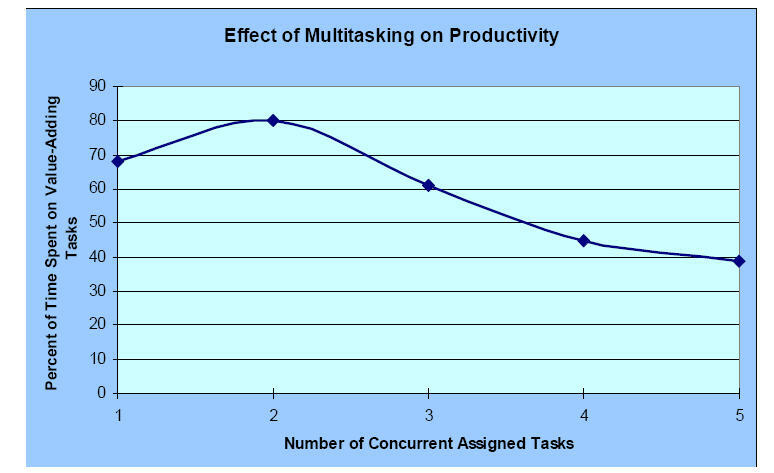 Multitasking, which is defined as simultaneously working on multiple tasks, exacts a horrible toll on productivity! Logically, it makes sense that multitasking helps when you have two things to work on. With two value-adding tasks, if you become blocked on one you can switch to the other. 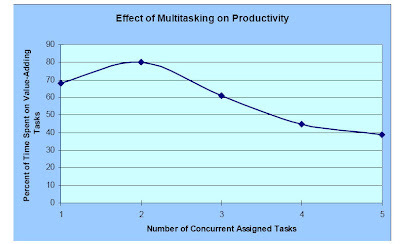 It is also logical that the above figure shows a rapid decline in time spent on value-adding tasks after a second task. We’re rarely blocked on more than one task at a time; and, if working on three or more concurrent tasks, the time spent switching among them becomes a much more tangible cost and burden. 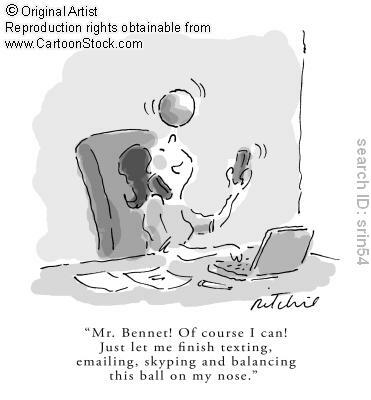 Multitasking often becomes an issue once a project starts to have some activities finish late. At that point dependencies between activities become critical. A developer waiting on the work of another developer will ask that developer to deliver just a subset of work so that he may continue. I love it when a plan comes together --- what the heck is planning? 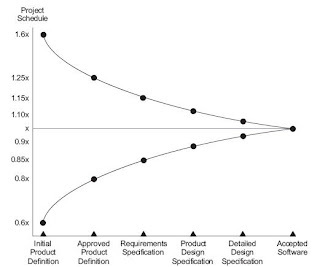 Estimating and planning are critical to the success of any software development project of any size or consequence. Plans guide our investment decisions: we might initiate a specific project if we estimate it to take six months and $1 million but would reject the same project if we thought it would take two years and $4 million. Plans help us know who needs to be available to work on a project during a given period. Plans help us know if a project is on track to deliver the functionality that users need and expect. Without plans we open our projects to any number of problems. Yet, planning is difficult and plans are often (more or less) wrong. Real Madrid lose a legend as Raul bids the club farewell after 15 long years! 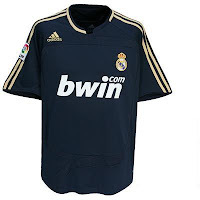 Call this a coincidence or not, but I just got the 2007-08 Real Madrid away shirt of the legendary Raul' yesterday at a discounted price (if anyone is interested in getting other old kits then check out the shop on the left side of the main entrance of the original Pace, the price is PKR 595)* and that too days after he (Raul) bid farewell to his long time football club (15 years) Real Madrid. Although he started out with cross-town rivals Atlético Madrid, he began the 1994-95 season in Madrid's C-team, but was promoted to first team status by coach Jorge Valdano after impressing with sixteen goals in nine games. He is the current top scorer of Real Madrid, netting 324 goals in 723 appearances, and has never received a red card in his 15 years at los blancos. Raul and fellow long server teammate, Iker Casillas were both awarded a "contract for life" in 2008. Software tester, loving husband, new daddy, addicted to football (soccer) and all around nice guy!